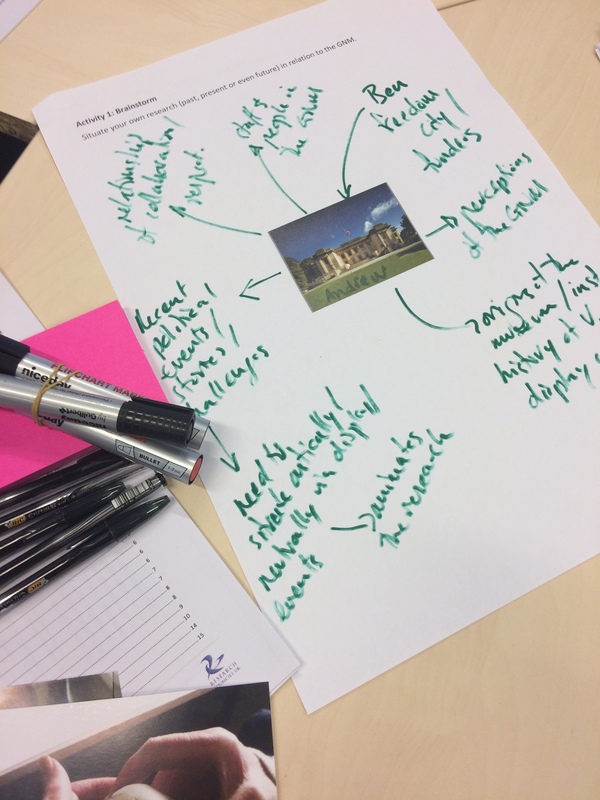 What are some key things to remember when planning your engagement and evaluation strategies and how can your research partners help? Adam Goldwater from TWAM and Eve Forrest from Newcastle University tell us about a recent event in conjunction with TWAM and supported by NUHRI and NICAP that considered different issues that arise from planning your engagement and evaluation alongside some of the methods for information gathering that were available to researchers. 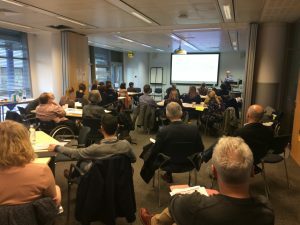 The event on the 30th March in conjunction at TWAM at Newcastle University was named ‘From Afterthought to Forethought: Planning Your Engagement and Evaluation strategies’. What we really wanted to highlight with this title and throughout the day was that researchers, in collaboration with their partners, should think about the ways the project could be evaluated and how they plan to engage audiences at the beginning, rather than as a last dash attempt at the end of the project. The rest of the day was structured around discussion-led workshops led by Adam Goldwater and Angie Scott which asked attendees to contemplate about how they might plan their evaluation strategies (either with current projects or future ones) and the possible methods that can be used for evidence gathering. What came through in each of these workshops is that this seemingly simple task is often far more complex than many might realise when they are embarking on the planned exhibition or activity. For example, if a research project states that it wishes to change attitudes towards a certain subject, how might this be explored and then evidenced? To show a change in attitude, there must be a capturing of what was thought before and then after. This might be through interviews, feedback cards or focus groups all of which is time-consuming information to collect. TWAM staff are there to support researchers in gathering evidence as they have a wide range of tools at their disposal. GNM staff also have large experience with audiences given the amount of visitors to the museum each year: 500, 000 visitors come through the doors annually alongside 24,500 school children. They can suggest specific engagement activities that can help enhance the wider impact of your ideas. However one key thing to stress is that this process is far easier if partners are involved in an active dialogue from the very beginning of the project. Building this relationship also helps tackle other legacy issues that often arise after project completion. Who will be in charge of the resources during and after the event or activity? What are the expectations of the partner organisation? Continued conversations in the planning stages help establish these boundaries. What do I want to know about my project or activity? What ways can I find this out? One key thing to remember is that evaluation is much more than simple information gathering. It is an explorative process which should ask fundamental questions about the information that is gathered, what it means, how it can be interpreted, and exactly who has contributed to the information you have. Starting at this end evaluation point from the beginning of the project can give a sense of how you might achieve your aims and objectives and gather the information you need to assess the impact you want to have in the longer term.